Do you know what one of my favourite things about working at a museum is? It is sneaking into the new exhibitions as they are being constructed… Somehow, it seems impossible that they will ever be ready in time; that the half-finished sets will ever look like something convincing, that those empty exhibition cases will ever be full of wonders, and that all the tools, stray pieces of plywood, extension cords, and dust will ever be cleared away, only to leave something convincing behind. But they do. This time last year, I walked through just such a scene, and mere days later, that chaos had resolved itself into an almost otherworldly Stone Age world with a kitchen midden several meters tall, tree trunks stretching from floor to ceiling, and the faces of Stone Age people looking back at me. 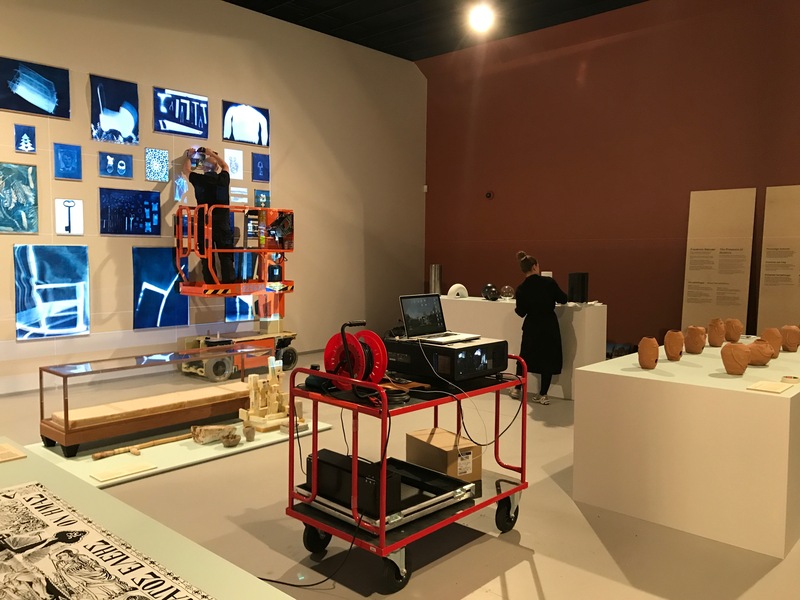 Last week, the Ethnographic Department at Moesgaard Museum was abuzz with activity, as the last preparations for the exhibition The Presence of Absence were underway. In just five days, the exhibition room under the stairs went from an empty space with freshly painted walls, to a tasteful and touching exhibition about the presence of the dead in our lives. 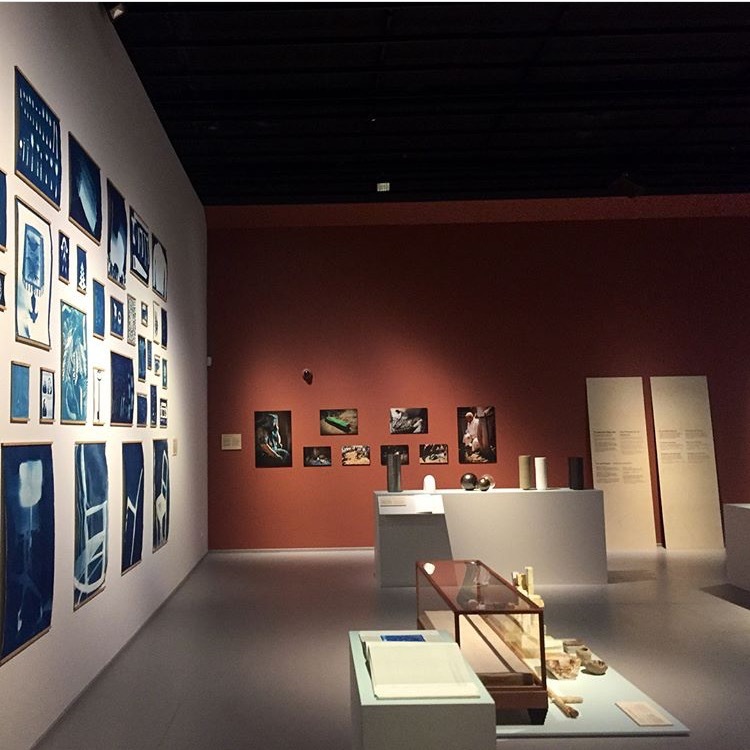 Cyanotypes of deceased peoples’ objects are mounted on the wall, fragile Roman tear bottles are displayed in their glass case, wax votives in the shapes of babies are mounted on the wall, and modern designer urns in wood and metal stand on their plinth, looking for all the world like modern art. 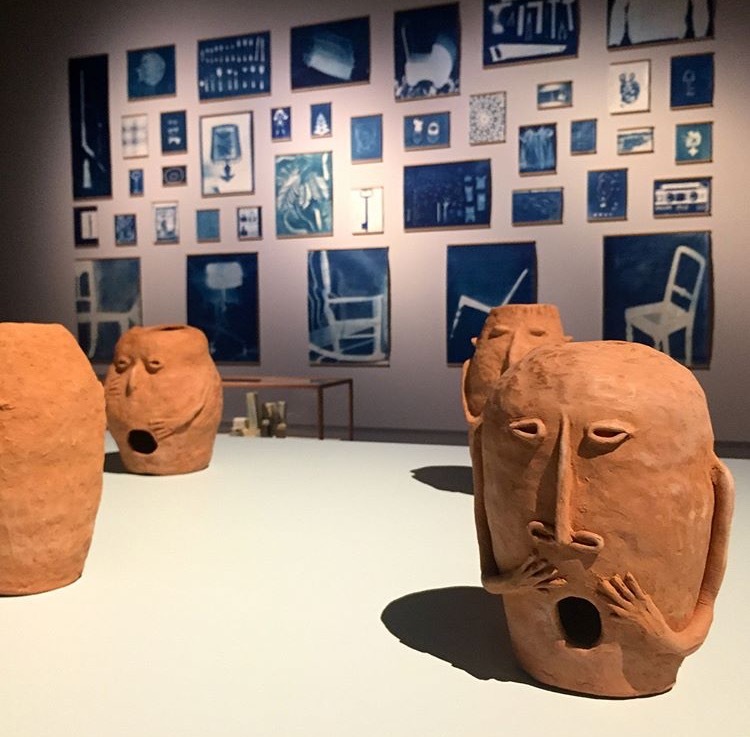 One of the curators of the exhibition (and creator of the cyanotypes), artist Ditte Lyngkær Pedersen, likens the process of making an exhibition to giving birth. And somehow, the comparison makes sense. From the first spark of life to the finished ‘product’ you have months of expectations, ideas, and struggles. You have exhilarating highs where everything seems possible, and lows where you just feel sick with worry that things will not pan out as you hope. The last days and hours are a marathon, which, if everything goes well, ends up in a release, as your ‘baby’ is brought into the world. Hopefully, with less pain and blood, though (thankfully, the exhibition involved no accidents with the nail gun or the like). You can visit Moesgaard’s newest ‘baby’ till the 7th of January – and in just a few short weeks, it’s big brother will open its eyes to greet the world, as the last permanent exhibition, about the Middle Ages opens on the 10th of October.